PALESTINE – The long-touted quiet zone in the downtown Palestine area is about to become a reality. 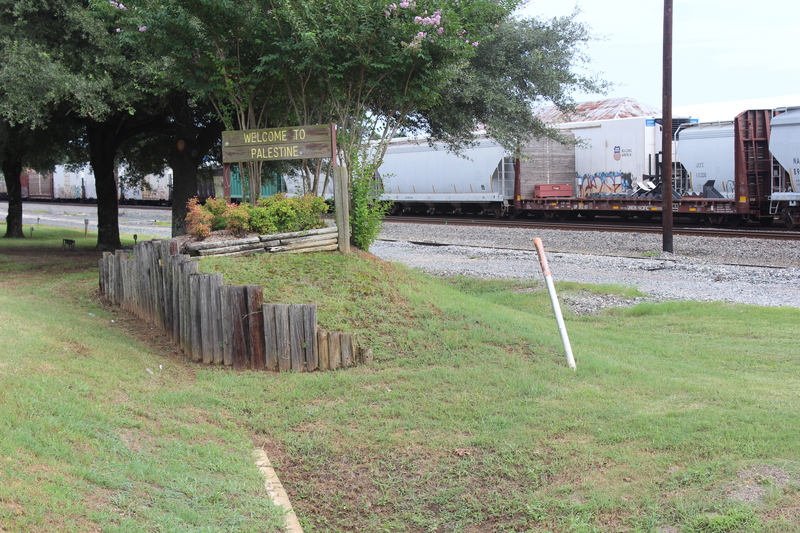 The city, along with help from the Palestine Economic Development Corporation, will ask the Federal Railroad Administration to allow a quiet zone at the crossings of South Magnolia and South Sycamore streets. The cost of the project is approximately $50,000. Union Pacific, in a prior project meeting, offered to split the costs down the middle and perform the work on the crossings if the city could provide the other half of the funds. It happened. The PEDC helped make the zone a reality through a $10,000 grant for an additional stop arm. Citizens Bank donated $10,000 and private contributions from Main Street business owners provided the remainder of the $25,000 plus engineering fees needed to accomplish the feat. The city contract work from the CTC engineering firm for the project. CTC will work with Union Pacific and the Federal Railroad Administration to create the quiet zone. According to federal law, only local governments and public agencies may establish these quiet zones, and Palestine will soon become one of more than 100 such areas in the State of Texas. The state already has more such zones than any other. Thanks to additional safety factors to be installed at the two crossings, trains are relieved sounding the ear-splitting horns at the intersections. Train whistles are required to be at least 96 decibels and can be as loud as 110 decibels. To put that noise level in perspective, a Boeing 747 jet taking off is 100 decibels. The Quiet Zone doesn’t mean city residents will never hear train whistles. Federal law requires engineers must sound the horn when maintenance employees are working on the tracks and must sound the horns in the switch yards and when an emergency situation is imminent. What it will do is definitively lessen the frequency of the whistle. Because both Sycamore and Magnolia are high train traffic areas and centrally located to downtown areas, the constancy of train whistles presented an unpleasant, if necessary, aspect to an otherwise charming area, according to council members. Two extensive tests by the Federal Railroad Administration have found no correlation between quiet zones and rail accidents.